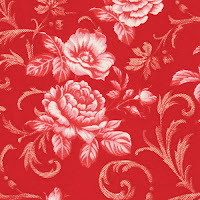 What's fun about a red, black and white fabric collection? Seeing all the different ways people use this classic color combination. We've seen Ro Gregg's Lady in Red collection showcased in our free pattern, the two-color blogging design ring tutorial, and School Girls in Red, among others. 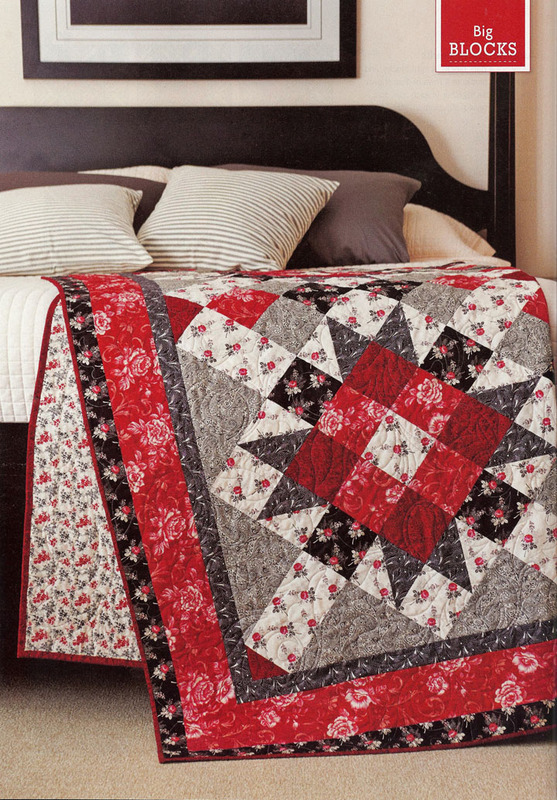 Today, we have "Rouge Royale," a nine-patch star block set on point that merges traditional with shabby chic. 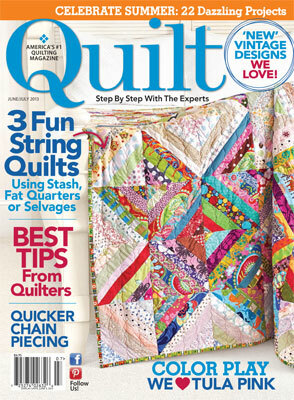 Designed by Tammy Silvers and Julia LaBauve of Outside the Lines Design and machine quilted by Pat Yearwood of Stitch 'n Quilt, this beauty is featured in the current issue of Quilt magazine. Q. What attracted you to the Lady in Red fabric collection? Tammy: I love bright color, and strong contrasts, and this line offers both, combined with a wonderful vintage-feeling floral, which immediately attracted the "shabby chic" side in me. Q. How did you come up with the design for this quilt? Tammy: I wanted the wonderful soft florals to take center stage, so I looked for blocks that echoed the traditional feel of the motifs, in a scale that would allow for the fabric patterns to shine. I also like to contrast organic shapes (the florals) with strong linear designs (the blocks). I think this creates a tension that is interesting. Q. Tell us about the pieced setting and corner triangles. They really enhance the design. Tammy: Aw, shucks - thanks so much! The blocks for this quilt are quite large (20" square). Without a pieced setting and corner triangle, even the large blocks would have been lost in plain fabric setting and corner triangles. But.....the piecing in those setting squares didn't need to compete with the center blocks. I think that the simple piecing, which echoes the basic lines in the center blocks, sets a nice stage for the main blocks. Q. How did you decide on the border treatments? Tammy: I approach borders much like framing a picture - what will enhance the quilt center—the true star of the show—without detracting or dulling the quilt. Traditionally, the outermost border is the largest, but I think providing two narrow black borders (inner and outermost) allow me to use the terrific bright red overall rose print in a wide border, yet tone it down enough to keep it from overwhelming the quilt center. Tammy: Ummm....difficult to say. Some quilts I create I honestly don't "love" until all the parts come together, and then it's like a terrific song - you can't image the lyrics without the melody. On this one - well, I really like the nine patch star block. But what I think is absolutely the best part is the linear "weave" of the white floral that is created between the blocks. There is something about setting a block on point that can elevate even the most "mundane" (if a quilt block can be called mundane - let's face it, even the humble four patch creates some fabulous quilts!) block to a new level. It's that change in perspective. I definitely love that! Q. What can you tell us about the machine quilting choices? Much as I would LOVE to take credit for all aspects of the quilt, I cannot take ANY credit for the quilting. 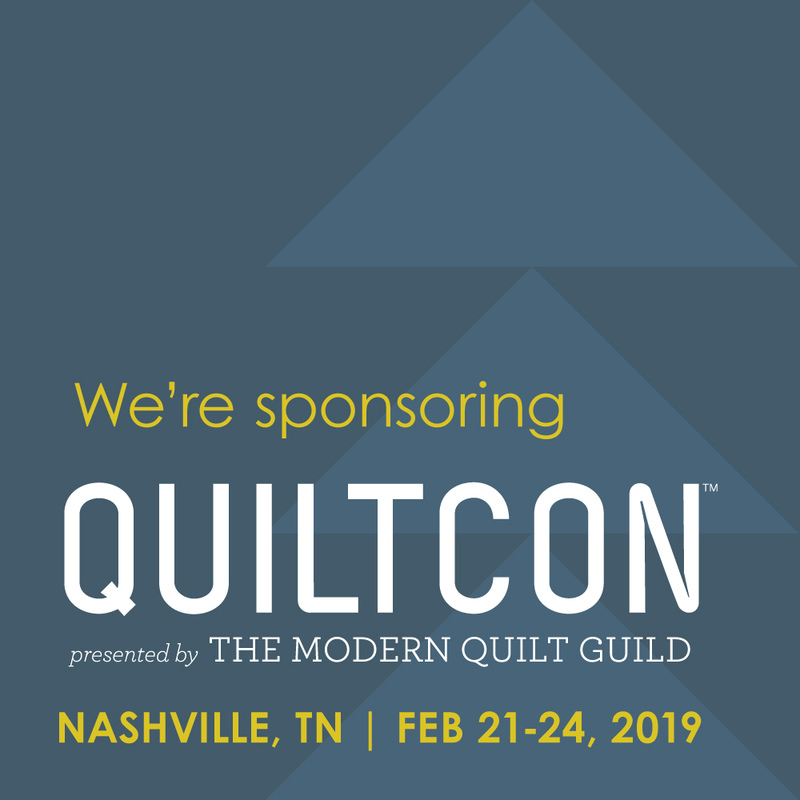 Pat Yearwood does all my quilting and she does an outstanding job of choosing complimentary threads and quilting motifs to compliment my quilts. The only quilting I've mastered is the loopy loop - so thank goodness for Pat and her fabulous portfolio of quilt designs. See the full Lady in Red collection here. Find the kit for this quilt here. I love that color combination. See what you have done, now I will have to start picking up some more fabric.